There are four and five star hotels and then there are multi-star hotels that impress with their unique architecture, high quality accommodation and world class services. Here is a countdown of the most luxurious hotels on the planet. 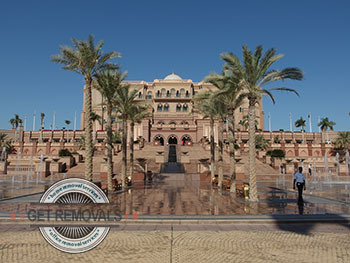 Emirates Palace – Located in the opulent city of Abu Dhabi, the Emirates Palace has a total of 394 rooms and suites, 40 meeting and conference rooms, its private white sand beach, a first-rate spa and a multitude of breathtaking fountains and pools. 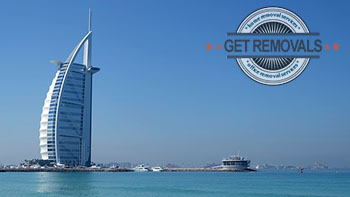 It is also the location of the most prestigious marina in the Middle East. The construction of the hotel cost approximately £1.959.300.000. Most accommodations experts described the Emirates Palace as a seven star facility, but officially the hotel has a five star status. Mardan Palace Hotel – This amazing establishment was built by Russian billionaire Telman Ismailov. The hotel is situated in the Lara district of Antalya, Turkey and is undoubtedly the most luxurious facility in the country. Mardan Palace Hotel is home to the largest swimming pool in the Mediterranean region. The hotel comprises of 700 rooms and suites, ten dining spots, a lavish spa, 17 bars and a one of kind sunken aquarium which is filled with exotic fish from all over the world. The nearby beach was created by importing 9.000 tons of white sand from Egypt. Westin Excelsior – The Westin Excelsior is one of the oldest still functioning luxurious hotels in the world as it dates back to 1906. The establishment lies in the Via Veneto district of Rome and is beyond any doubt one of the most high-status hotels in the Italian capital. It has a total of 281 rooms and 35 suites. The most interesting aspect of the Westin Excelsior is that unlike most high-end hotels, most of its rooms and suites are quite affordable. The only ultra-expensive suite in the establishment is the Villa La Cupola which in recent years was the subject of a £4.571.700 renovation project. Currently the suite is furnished with grand old style furniture and contemporary high-tech gadgets, its own fitness room and hard-frescoed cathedral style domes. Burj Al Arab – The Burj Al Arab is perhaps the most recognisable hotel in the world due to its unique architectural design that mimics the appearance of a billowing sail. The facility is known to be one of the most photographed edifices in the world and is the forth tallest hotel on the planet with a height of 321 metres. Often referred to as “The world’s only seven star hotel”, the Burj Al Arab is known throughout the world of its luxurious rooms and suites and first-rate customer service. The most astonishing amenities of the establishment are its attached heliport, futuristic dining rooms and bars and hovering tennis courts. The Plaza – New York’s most popular hotel opened doors in 1907 and is currently the most renowned accommodation establishment on the North American continent. It has a total of 282 rooms and 152 private condos which provide mesmerising views of Manhattan. The most famous suite in the hotel is the Royal Plaza Suite which has its own formal dining room, library, gymnasium, kitchen (which comes with a personal chef if desired) and a gymnasium. In 1969, The Plaza was recognised by the American authorities as a National Historic Landmark. Atlantis Paradise Island – This gigantic resort and waterpark was opened in 1998 and was created by South African hotel magnate Sol Kerzner. The resort is built as a tribute to the legendary lost city of Atlantis and spreads over an area of 141 acres. It is reputed as the primary and most luxurious resort destination in the Bahamas and the entire Caribbean region. The Royal Towers Bridge Suits is beyond any doubt the most lavish and expensive room in the complex. The suite is situated on the 23rd floor and as a 12 feet ceiling, along with twin entertainment centres, a formal dining room, a grand piano and a 22-kara gold chandelier among other top quality amenities. The Boulders – One of the world’s most prestigious golf and spa resorts, the Boulders is located in Arizona, USA. The hotel is built in close proximity to a 12 million year old rock formation which provides a one of kind décor. The resort itself covers an area of 1.300 acres. The most desirable suite of the complex is the private gates Villa Retreat which offers to its guests total anonymity and privacy. 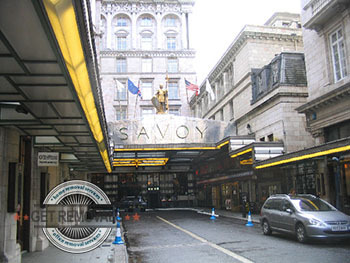 Savoy Hotel – Situated in the English capital, the Savoy Hotel is arguably the most luxurious facility in the United Kingdom. It was opened by impresario Richard D`Oyly Carte in 1889 and since then it has become of the city’s most recognisable landmarks. The hotel has always been known for its exquisite customer service and opulent interior and furnishing. It was César Ritz himself who introduced the high standards by which the establishment operates to this day. Savoy Court the road that leads towards the hotel’s entrance is the only street in the UK were vehicles are required to drive on the right side of the road. Hôtel Ritz Paris – The Hôtel Ritz Paris is known to be one of “The Leading Hotels in the World” and is classified as a palatial luxurious hotel. The facility lies in the heart of the French capital and has a total of 159 rooms. The establishment was founded by César Ritz and Chef Auguste Escoffier in 1898 and is housed in an edifice that dates back to the early 18th century. During the events of World War II, the hotel was used by the Luftwaffe as their headquarters. Since 2012 it was been closed due to a major renovation project, the reopening is expected to occur during the last quarter of 2015.